Located In The Middle Of The Up And Coming Mount Dennis Community, This Spacious Condo Is Minutes From Everything That You Need. 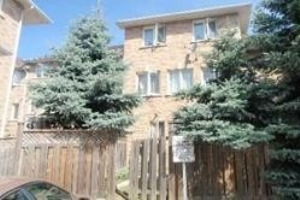 2 Bedrooms Including A Large Master Bedroom Open Living Room And Balcony. The Condo Includes A Private Backyard With Barbeque And Outdoor Swimming Pool. Also Includes A Gym, Weight Room, A Reading Room, And A Party Room. Parking Also Included Or If You Want Public Transit, The Bus Stop Is Located At Your Front Door.